> It doesn’t matter how good the Pirates are or how bad the Brewers are: history tells us it’s likely the Brewers will always beat the Pirates. That happened again today, as the Brewers KO’d the Pirates 7-0. Erik Bedard held the Brewers hitless through the first three innings, but the Brewers jumped all over him in the middle innings. 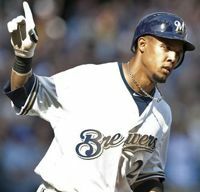 Carlos Gomez hit a three-run blast off him in the fourth inning, then Aramis Ramirez hit a two-run shot following a Rickie Weeks RBI single in the fifth. The Brewers’ last run was Norichika Aoki’s sacrifice fly in the sixth. > This is starting to become a common theme for the Pirates. Last year, they were in first place at the All-Star break for the first time since 1992. The quick assumption was that they’d finally reach the playoffs (or at least finish over .500) for the first time since that year as well. But there was no such luck. The Pirates couldn’t even win 20 games down the stretch, and faded out of contention to a 72-90 record. This year, the Pirates seemed to have stepped it up a notch, and have been contending for most of the year. But now they may be fading away yet again. They’ve lost 12 of their last 17 games, and have been struggling against the teams that most contending teams would beat (i.e. the Brewers, and they were swept in four games by the Padres prior to this series). The reason for this happening two years in a row is probably because the young players are putting too much pressure on themselves. A perfect example of that is James McDonald, who had an ERA hovering around 2.20 before the All-Star break. Since the break, his ERA is over 8.00. That’s a sign he’s probably trying to do too much, and the same can be said for other young players on his team. But the front office isn’t really helping them, either. They traded ex-Brewer Casey McGehee to the Yankees during a stretch in which he was really helping the Pirates win games, then attempted to replace him by acquiring Gaby Sanchez from the Marlins. I didn’t understand that all, considering Sanchez, a former All-Star, was hitting below .200 and had been in the Minors for most of the year with the Marlins. And all the Pirates got in return for McGehee was struggling reliever Chad Qualls. So that was clearly a bad series of moves. The Wandy Rodriguez trade looked good on paper, but Rodriguez has an ERA above 5.00 since joining the Pirates. And while the Pirates continue to struggle, other teams are pulling away and are simply making themselves better than the Pirates. I want to say the Braves have a Wild Card spot locked up, but I can’t after last year. The Cardinals have pulled ahead of the Pirates in the WC chase as well. And there’s almost no chance the Bucs can compete with the juiced Dodgers. 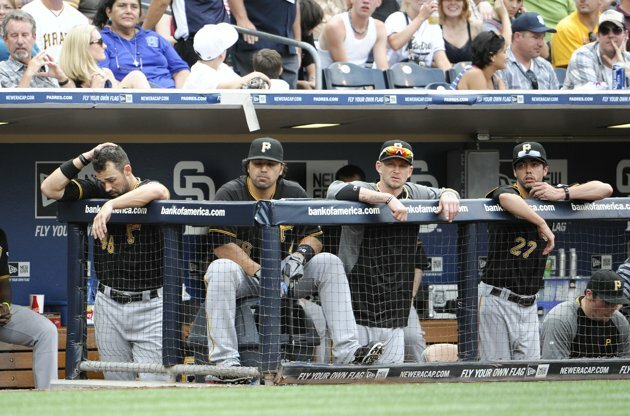 While I wanted to see the Pirates contend for once this year, I can’t see it happening now. There are just too many teams that are better than them, and their struggles are holding them back. > Mark Rogers had a strange start today. He shut down the Pirates, but did so in a rather inefficient way, needing 101 pitches to get through just five innings. His three walks may have contributed to that. When Rogers was first drafted, some considered him a future ace. At the time, that may have bode true, but after all these injuries he’s gone through, I don’t know if he’ll ever reach that point. That’s not to say he can’t be a solid two or three starter, because his stuff is definitely still there. But now I’m doubting he’ll ever be that true No. 1. > Gomez is getting far more playing time than Nyjer Morgan nowadays, which I love to see. He’s hitting just .247, but is starting to show that power stroke everyone has been waiting for. With Morgan likely gone next year, I’m excited to see what kind of numbers Gomez will put up as a full-time center fielder. > The Brewers might not shut down Mike Fiers. They’ve been going back and forth on the decision regarding shutting him down, and have gone back to the good side. 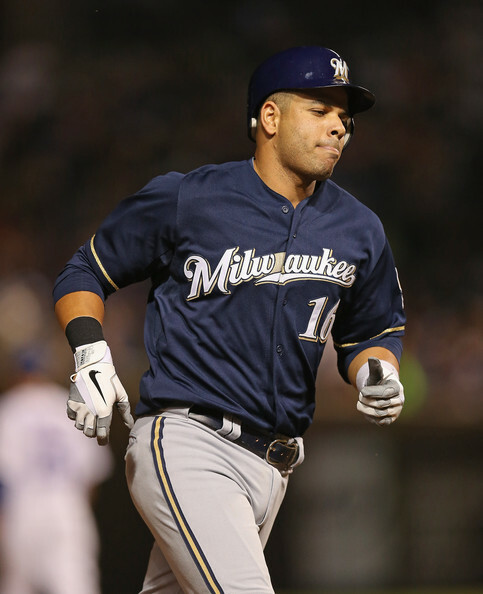 If the Brewers do decide to shut down Fiers, it likely wouldn’t be until late September. But even Fiers himself has said he “feels fine” and would like to pitch the rest of the year. > Ron Roenicke is going to stick with Weeks in the two-hole in the lineup. Weeks is just 8 for his last 50, but did get an RBI today. > Vin Scully, the best sportscaster in history, is coming back to announce Dodgers games in 2013. > The Orioles acquired Joe Saunders from the Diamondbacks. Not exactly the ace arm they were looking for, but we’ll see if he can help them with a playoff run. 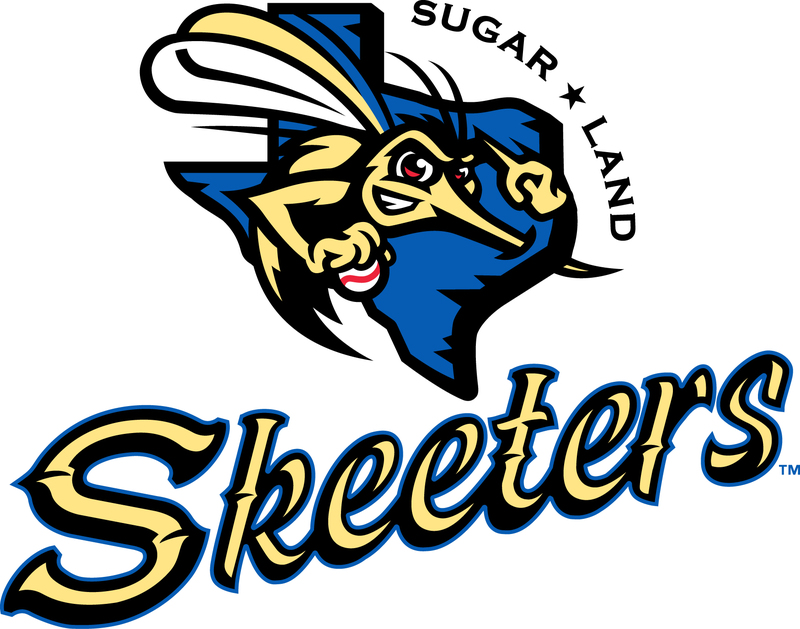 > Roger Clemens went 3 1/3 innings in his first start with the Sugar Land Skeeters yesterday. He needed just 37 pitches and gave up no runs. > Rogers got his second consecutive win after the bullpen seemingly wouldn’t let him find one for a few starts. > Jonathan Lucroy went a perfect 3-for-3, raising his average to .333. > The Brewers have made five errors in their last two games. Whoever was saying defense has been a high point this year apparently jinxed it. > Yes. Yes we were. 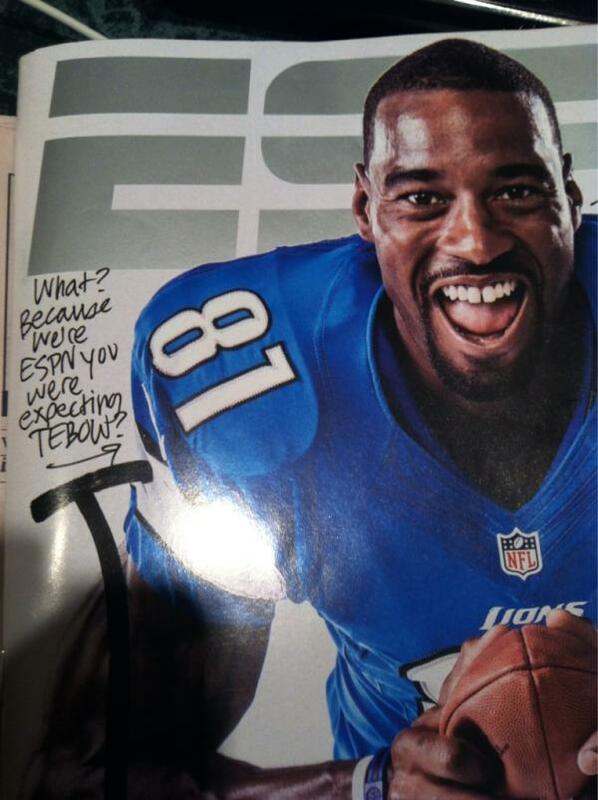 But, according to this magazine, ESPN has the Packers going 16-0 and winning the Super Bowl. I’d take that. > The first week of the 2011 MLB offseason was rather quiet, with none of the top free agents reaching agreements with new teams (or the ones they were already with). But I guess that wasn’t expected. Anyway, despite this, there were a lot of minor moves, with some more significant than others, and later in this article I’ll try to go through every move made. But, before that, there is one Brewers-related piece of news that I should probably share. > Dale Sveum is going to be interviewed for the Cubs’ managerial vacancy tomorrow. Ugh. Over the past few days, Sveum has been considered the front-runner to become the new Red Sox manager, but nothing has been confirmed. And now he’s going to have a chance to become the Cubs’ manager, a team he has seen up close and personally for quite a few years now as the Brewers’ hitting coach. So the reason I said “ugh” earlier is because, no matter who it is, I find it painful to see someone from a team I like leave for a team I hate. For instance, I was crushed a few years back when Brett Favre left the Packers for the Jets, and eventually the Vikings- a team I despise. (That is, until I figured out what a loser Favre was under the surface, but you still get the point.) Anyway, I’d be happy for Sveum no matter where he goes (if he does end up managing), but let me say I’d be much happier if he went to the Red Sox instead of the Cubs. > But, with that aside, let’s get to all the moves that occurred during this first week of the Hot Stove. I guess I didn’t realize how much I didn’t cover on BreakingWI, but here’s my chance to redeem myself. > Frank McCourt agreed with MLB to sell the Dodgers, and hopefully put this divorce-bankruptcy crap behind him and the franchise. The Dodgers suffered that for far too long, and hopefully whoever ends up being the team can right that ship. > The long expected CC Sabathia opt-out never actually happened, as the Yankees managed to retain him by adding an extra year, worth $25 million, to his already-remaining for years on the seven-year deal he signed back in 2008 (after he left the Brewers). So much for that… I was looking forward to him sticking it up the Yankees’… Er, maybe I shouldn’t go there. > The Indians acquired 15-year veteran starting pitcher Derek Lowe from the Braves. Lowe has definitely been on a decline in recent years, but the Indians hope his veteran presence can anchor their very young rotation. > The Phillies successfully signed designated hitter Jim Thome to a one-year deal worth $1.225 million. Oh, wait, they’re a National League team… Apparently they expect him to play a little first base and be a power lefty off the bench, but I can’t see this deal working out very well. > Davey Johnson is going to be the Nationals’ manager in 2012 as well, after picking up where Jim Riggleman left off midway through the 2011 season. > The Giants exercised their option on lefty reliever Jeremy Affeldt, and also signed fellow lefty reliever Javier Lopez to a two-year deal. > The Dodgers re-signed Juan Rivera to a one-year deal worth $4.5 million after acquiring him from the Blue Jays halfway through the 2011 season. > The Cubs exercised their half of the option on third baseman Aramis Ramirez, but Ramirez declined his half, thus becoming a free agent. > The Nationals re-signed starter Chien-Ming Wang to a one-year deal, following three seasons full of injuries- two of which he didn’t even pitch at all. But, before that, he was a dominant starting pitcher for the Yankees. > The Diamondbacks made a few signings on and off the field, as they locked up shortstop John McDonald with a two-year, $3 million deal, along with a one-year deal worth $1.2 million for catcher Henry Blanco. They also extended GM Kevin Towers and manager Kirk Gibson, both of whom completely turned around what looked to be another disappointing season coming in. > The Brewers declined their $17.5 million option on Francisco Rodriguez, which was inherited from the Mets. They also declined a $6 million option on shortstop Yuniesky Betancourt (HOORAY!). > The Mets pretty much came out and said that they’re not going to be able to retain shortstop Jose Reyes. Not that I’m surprised, but it’s sort of odd that they’d come out and say it like that. > The Braves have announced that they would trade starter Jair Jurrjens and outfielder/second baseman Martin Prado, if given a good enough deal. 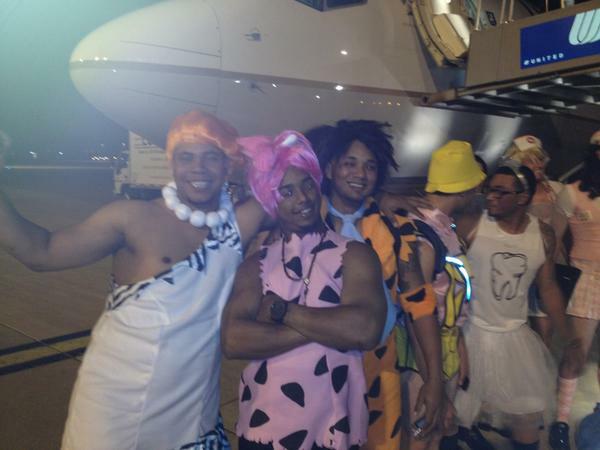 Right now, the Royals look like the best destination, at least for Jurrjens. > The Giants are willing to trade starter Jonathan Sanchez. Not sure who would want that walk-machine, unless they really need starting pitching. > The Cardinals declined their options on shortstop Rafael Furcal and reliever Octavio Dotel. That was surprising to some (including me). > The Red Sox picked up their $6 million option on shortstop Marco Scutaro. > The Nationals appear to be in the running for starter Roy Oswalt, whose option was declined by the Phillies prior to the World Series. > It sounds like the Phillies are literally dying for Michael Cuddyer, which means they’ll probably have him. But that would pretty much nullify the Thome deal, because Cuddyer could play a similar role, but is so much more versatile. > The Diamondbacks declined options on starter Zach Duke, second baseman Aaron Hill, and shortstop Willie Bloomquist, but are probably open to re-signing Hill and Bloomquist. > The Blue Jays picked up their option on outfielder Edwin Encarnacion, but declined their option on reliever Jon Rauch. > The Royals picked up their $6 million option on closer Joakim Soria, who is coming off a horrible 2011. But, prior to that, he was one of the top closers in the game. > The Reds picked up their option on second baseman Brandon Phillips, but declined the option on closer Francisco Cordero. > The Padres declined options on starter Aaron Harang, reliever Chad Qualls, and first baseman Brad Hawpe. I thought it was interesting that they didn’t pick up Harang’s option, because he actually quietly put up a good season. > The Rays exercised their option on starter James Shields and closer Kyle Farnsworth, while declining both of those pitchers’ batterymate, Kelly Shoppach. > Mariners closer David Aardsma, who did not pitch at all in 2011 due to an injury from 2010, has elected free agency. Whichever team that signs him will probably have to wait until at least June for his services in the Majors, however, as he’s still recovering from the injury. > The White Sox picked up their option on reliever Jason Frasor, who they acquired from the Blue Jays at the Trade Deadline. > The Indians exercised their option on starter Fausto Carmona, but declined the option on the injury-plagued center fielder Grady Sizemore. > The Rockies declined their option on starter Aaron Cook. That was definitely expected, as he’s been injury-plagued and ineffective over the past two years. > Lastly, the Rangers exercised their option on Japanese reliever Yoshinori Tateyama. Well, that took awhile, but thanks for reading. Feel free to leave thoughts on these moves, if you have any.